Local photos appearing in the Feb. 15-20th editions of The Goshen News. 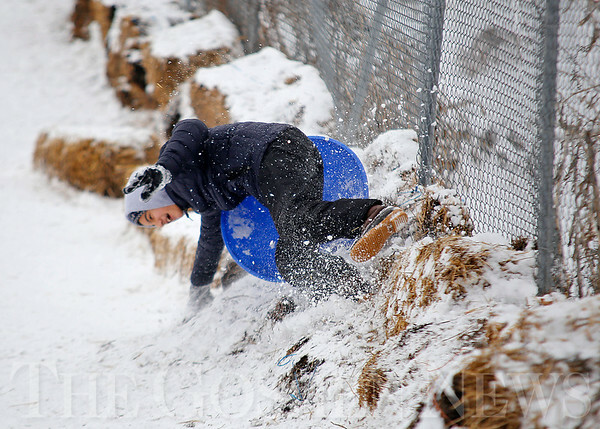 13-year-old Cruz Garcia wipes out while sledding at Abshire Park in Goshen Monday afternoon. Temperatures are forecast to be in the mid 30s through Thursday and highs are expected to reach the 50s on Friday.